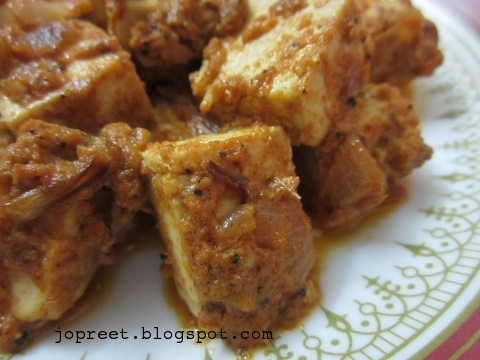 Marinate paneer with above said ingredients and keep it aside for 30 mins. 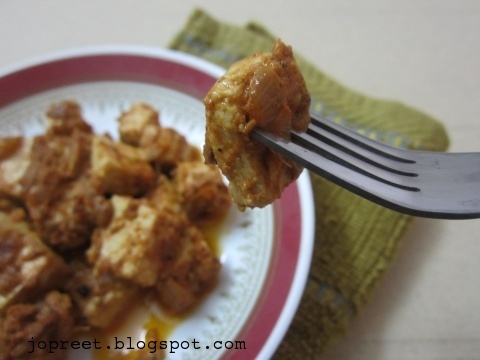 Heat oil in a kadhai and fry the onions till it turns golden brown. 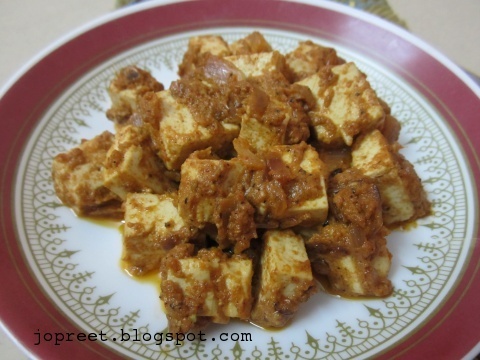 Add marinated paneer along with the remaining masalas. Fry till the raw smell goes and serve hot. Tasty & Yummy…hmm..thanks for sharing! 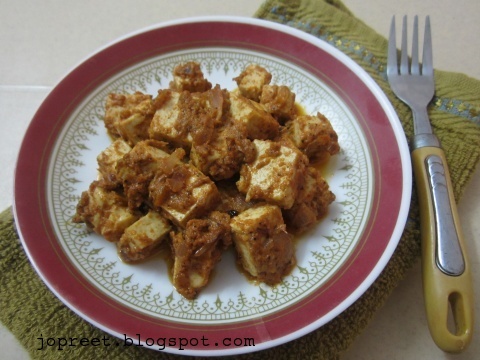 Masaledaar paneer looks so tasty..